As the OM in Practice box about MBNA clearly illustrates, leading-edge companies now focus on providing ever-better and ever-faster service to their customers. From an operations perspective. this can be accomplished in several ways, all of which center around good system design concepts. Early service system design theory advocated the splitting of the delivery system into two cores. with the goal of reducing customer contact time, thereby increasing the speed of delivery and the efficiency of the operation, With this approach, the first core, or front-of the- house, interacts directly with the customer and consequently adopts a chase strategy, The second core. or back-of-the-house, includes all of those functions that can be accomplished without the presence of the customer. and therefore can be performed more efficiently with a level-type strategy, (Both chase and level strategies are explained in detail in Chapter 15 on "Aggregate Planning," Simply stated, a chase strategy is one in which the production in a given time period, be it a week or a month, exactly matches or "cases" the demand, This is the case with services where the delivery of the service must coincide with the customer's demand for that· service. A level strategy, on the other hand. averages the demand over a spec fixed number of periods. say four weeks or six months, This average is then the amount that is produced in each time period, thereby "leveling production," regardless of what the actual demand is in any given period.) McDonald's provides an excellent example of this split core strategy. with packaged hamburgers in the bins acting as a buffer inventory between the two stages, However, by adopting a properly designed concept that combines the back-of-the-house operations with those in the front-of-the-house. service workers can be kept productively occupied during idle periods when there are no customers to wait on. With a well-designed facility. service workers can answer telephones or perform nontime-Dependent tasks during these idle periods. Reduced Setup Times When the back-of-the-house and the front-of-the-house are integrated. benefits also can be accrued by reducing the setup times required when a worker has to switch from one job function to another. This switching can occur frequently in" service operation whenever a customer requires service. Such reduction", in setup times permit t e service manager to reassign workers from time-dependent tasks. such as waiting on customers. 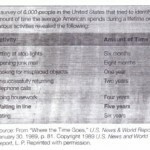 to nontime-dependent tasks. such as cleaning and paperwork, or restocking inventories. and vice versa. without incurring any additional costs.